KalPurush - Responsive Bangla Blogger Template is a another technology base and bangla translated blogger template for all Bangladeshi users. This template is perfect for technology blogging. 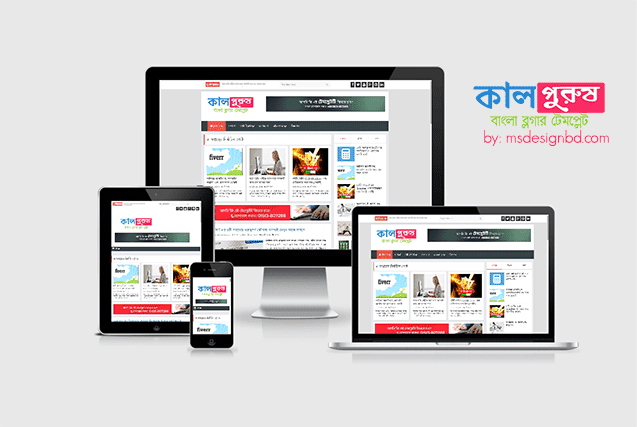 Kalpurush is full responsive designed bangla blogging template. If you are running a technology blog with blogspot, then KalPurush will be perfect for your blog. 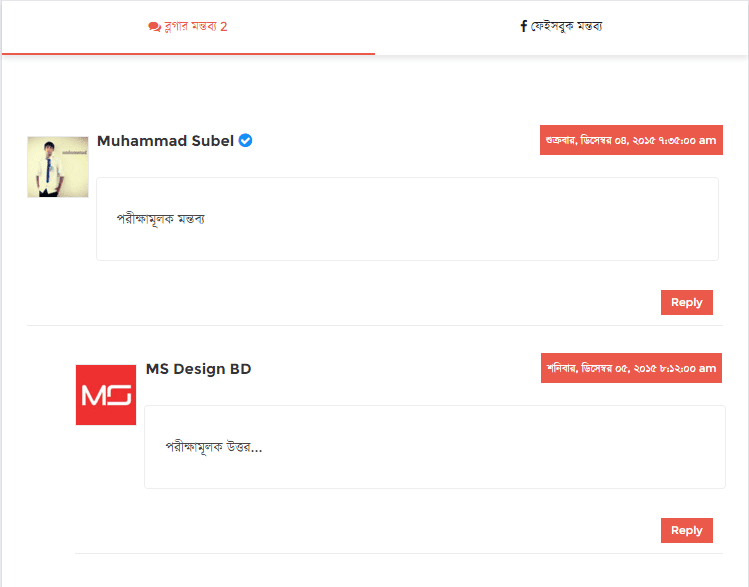 This template is totally bangla translated blogger template and made for all Bangladeshi bloggers. If you running a Bangla blog and wanna make your blog like Techtunes then, check out our recent published TechVoice v1.1 Responsive Premium Blogger Template. This blogger themes is 99% same largest Bangla technology blog Techtunes. Kalpurush is best bangla blogger themes ever. In this template all features are attractive. You can give a beautiful look on your blog using Kalpurush blogger themes. This template specially developed for all Bangladeshi tech bloggers who running a blog with blogspot. In this template we used Selected posts area. You can make 3 posts as sticky in top of recent posts. Another big features of this template is Tabbed widget. You can use 3 widgets as a tabbed widget. Default is: Popular Posts, Posts Labels and Recent comment widget. We also used responsive dropdown menu in this blogger template. On top header we used, Recent posts ticker, search bar and Social icons widget. Recent posts widget and custom stats widget is also included in this blogger template. After all this blogger template will be perfect for your bangla tech blog. Why you buy this template? MS Design BD always develop unique and best blogger template. If you looking for a Bangla blogger template then KalPurush is perfect for you. Because only MS Design first time develop bangla blogger template in Bangladesh. We used 3 Bangla unicode fonts in our all Bangla template. That's why visitors are easily see clear Bangla word. Only MS Design give lifetime support and lifetime template updates in Bangladesh. So can choice MS Design with out any hesitation for bangla blogger template. Top of post wrapper we used Selected posts box with specific label. You can sticky 3 poplar or hot posts as a selected posts. This widget work with specific label. If you type any label name example: "Featured" then, on this Selected Posts box display last 3 posts of Featured label. This think is interesting subject in every Bangla technology blog. Every blogger can attracts visitors by using featured posts widget in blogger. That's why we used featured posts widget in this blogger template with specific label. Hope this features may increase your blog visitors. KalPurush is fully pure responsive designed blogger template. Just see our previously released all templates. KalPurush blogger themes is also responsive which indicated that your website looks great on smartphones and tablet as good as they look on desktop devices. This template is compatible with all device. Responsive and mobile friendly blogger themes are most important in search results. So, use a proper responsive blogger template in your blog. A mobile friendly blogger themes play an important role. Cause maximum of visitors are come from mobile. So, its too much important to make your blog mobile friendly. Google also like a mobile friendly blog. If you have any question about this template, then feel free to inform me on comment section. You can directly contact with me on Facebook. If you wanna get our latest updates on your email then free Subscribe Now. Join with our Google+ Profile for latest free templates. If you like this update then don't forget share this with your others friends. Thanks. Yap! you're right. But we bring some changes in this template. Total koita website e use korte parbo?